Nalanda Dance Research Centre with the support from Sangeet Natak Akademi, New Delhi, conducted the National Seminar on 'Rediscovering Mohiniattam' at Nalanda's Kanak Hall on 8th and 9th February. Besides the speeches and the performances, the highlight of the event was the screening of the archival recording portraying the pioneering exponents of Mohiniattam, namely Kunjukutty Amma, Chinnammu Amma and Kalyanikutty Amma. Dr. Kanak Rele, founder/director of Nalanda Dance Research Centre, welcomed the gathering and spoke about the significance of the seminar. 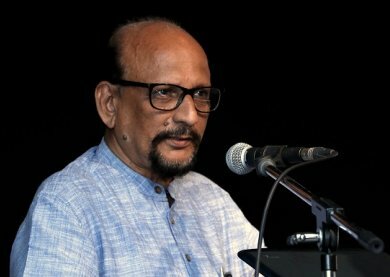 Aruna Sairam, vice-chairman of Sangeet Natak Akademi, spoke about the relevance of the seminar and untiring efforts of Dr. Kanak Rele in reviving and rejuvenating Mohiniattam by expanding its repertoire, hence Sangeet Natak Akademi has come forward to support the event, followed with a brief outline of the seminar by Dr. Uma Rele, the principal of Nalanda Nrityakala Mahavidyalaya. 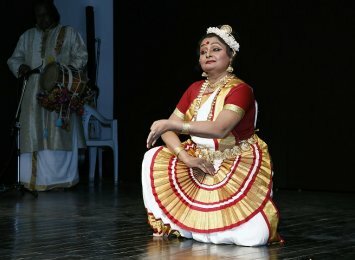 More than 50 years ago, Mohiniattam reached a point where only a few items from the once rich repertoire were remembered. A research grant from the Ford Foundation in 1970-71 enabled Kanak to film the traditional dances of the surviving exponents of Mohiniattam, analyze this recorded data with diligent care in light of the shastric tenets and arrive at an authoritative format for the technique of Mohiniattam, wherein old and almost forgotten dance items of the Kerala tradition have been revived and cast with Sopanam music. 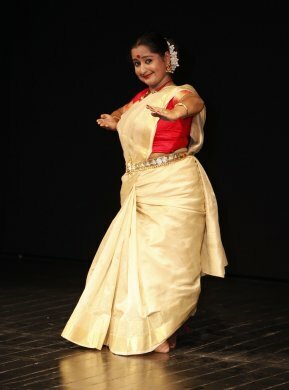 With her deep knowledge of the technique of the shastras and native-creative brilliance, Kanak has choreographed these items which today total more than 50 in number, thus Mohiniattam now has a rich repertoire of its own. 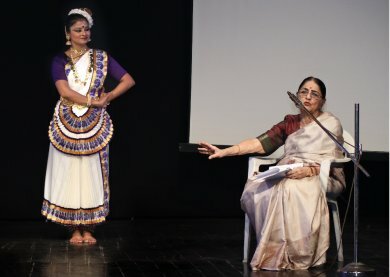 In the lecture-demonstration by Kanak Rele and her disciple Saji Menon, the new set of 'adavus' choreographed by Kanak was demonstrated, which are based on the various karanas of the Natyasastra. The introduction to Balarama Bharatam, the last commentary on the Natyasastra by Kerala king Balarama Verma is a significant contribution in the field of Mohiniattam by Kanak Rele. The analysis of anga and upanga was demonstrated by Unnati Ajmera and senior disciple Madhuri Deshmukh. Senior journalist George Paul spoke about how the word 'Mohiniattakari' was used as an abuse, the revival of Mohiniattam during the reign of Maharaja Swati Tirunal and subsequently as to how the Kerala Kalamandalam was established in 1930 in Cheruthuruthy in Kerala and the first tour of European countries led by Mahakavi Vallathol with Kathakali and Mohiniattam dancers. Incidentally, Kalyanikutty Amma, who was the first Mohiniattam teacher at Kerala Kalamandalam, was also the wife of veteran Kathakali maestro Kalamandalam Krishnan Nair. Paul also said that initially he was quite skeptical about how Kanak Rele, a non-Malayali, could get so involved with Mohiniattam but after seeing her work, he was startled at her unusual and outstanding contribution in the rejuvenation of Mohiniattam. While CP Unnikrishnan spoke about the relevance of Natyasastra with Mohiniattam, Dr. Manoj Kumar and singer Shrikumar demonstrated the significant usage of Sopanam Sangeetam and its varied tala patterns. 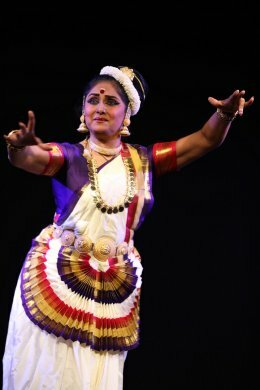 The performances were by Rachita Ravi from Kerala Kalamandalam who danced with elegance and innate charm. Sunanda Nair's expressive performance and Gopika Varma's soft movements and expressive eyes created a lasting impression. Vijay Shanker is a Kuchipudi and Kathakali exponent, teacher, bilingual journalist, arts critic and actor.